Amazon has a good price on the Bushnell 3-9×40 AR Riflescope and there’s no better time to be in the woods chasing predators than right now! I’ve been hunting with this same riflescope, recently and it has performed well thus far! 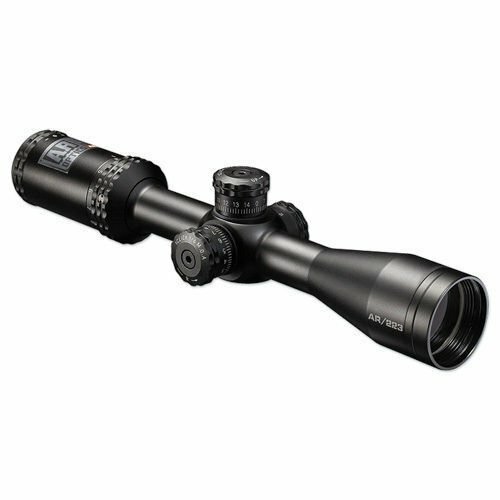 -Side focus parallax adjustment for adjustable long-range accuracy and a fast-focus eyepiece. -Target turrets (1/4 MOA click value) for pinpoint precise adjustments. -Fully multi-coated optics for incredible brightness. -Made of high-durability aluminum alloy, anodize-finished and sealed to protect the inside from elements. currently has a great deal on the Outdoor Edge Butcher – Lite 8 Piece Field Butcher Kit! Knife deals come and go but this is one of the best I’ve seen on a product that I fully recommend to anyone looking to butcher their own harvest. I purchased my Outdoor Edge Butcher Lite Kit years ago (at full retail price unfortunately) and it has held up great through the years. This kit has a lifetime warranty and shipping is free.